One of the things that I get asked time and time again is how on earth I lost my baby weight after having the twins. It’s true that during pregnancy it’s easy to pile on those extra pounds day by day. Many women struggle with this problem after they’ve had their little ones. You’ve suddenly got to learn about motherhood and caring for your baby, while also trying to shed that excess weight. So, how can you lose the baby weight healthily? 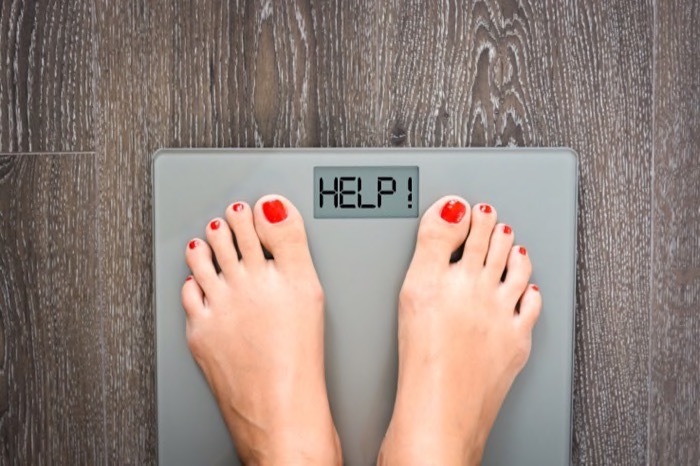 We all know that crash dieting is out of the question, but there could be another way to go. Making a few small changes to your lifestyle is certain to help you shape up while taking care of your newborn too. Here are some tips that I’ve learned and would love to share with you. When you’re busy (looking after your baby), there’s a genuine temptation to go ahead and stock the cupboards up with junk food. Don’t make that mistake! The whole ‘out of sight, out of mind’ mantra is true. If you can’t see chips in your cupboard, you won’t find yourself craving them. Losing weight starts in the grocery store. Make healthy choices when it comes to what you buy and it will make all the difference! Believe me, it’s well worth taking the time to check out what’s available at your local gym or community center. Often enough, these places run baby exercise classes you can attend. This idea is fabulous on two levels. For one thing, you don’t have to worry about finding a sitter. The other excellent reason you should try this is because it means you will meet other new moms while you get fit. Bonus. When you’re heading out and about with your baby, you will always pack food and snacks for them. It’s basically second nature! Still, what about you? Taking something healthy, like a piece of fruit, out with you is a genius idea. It means that you won’t give in to cravings and end up buying a fatty snack while you’re out. Plus, eating something with natural sugars in it might just give you the energy boost you need. One of the main reasons that so many women find it hard to lose baby weight is because they simply don’t have the time to hit the gym! I know that this was a major problem for me when I had the twins. I’m gonna let you in on a little secret: You don’t have to go to the gym to get fit. There are plenty of wonderful YouTube fitness channels that you can watch instead. Grab yourself a yoga mat and get started. You honestly won’t regret it. It’s all too easy to pile on weight when you’re not watching what you eat. Being a new mother is stressful and you may be tempted to overeat to help combat that. Don’t do it. Instead, you need to make sure that you write down everything you eat on a daily basis. Doing so will mean that you actually focus on what you’re eating, rather than just chomping away. It also means that you can plan your meals rather than just eating as and when you get hungry. Taking that extra effort over what you eat is the best way forward! Okay, I shouldn’t really have to say this one, but it’s important. You absolutely have to make sure that you drink more water. So often, when we think that we’re hungry, we’re actually thirsty. The two feelings are strikingly similar! Make sure that you carry a water bottle everywhere with you and keep sipping it. It might sound silly but it will stop your cravings.